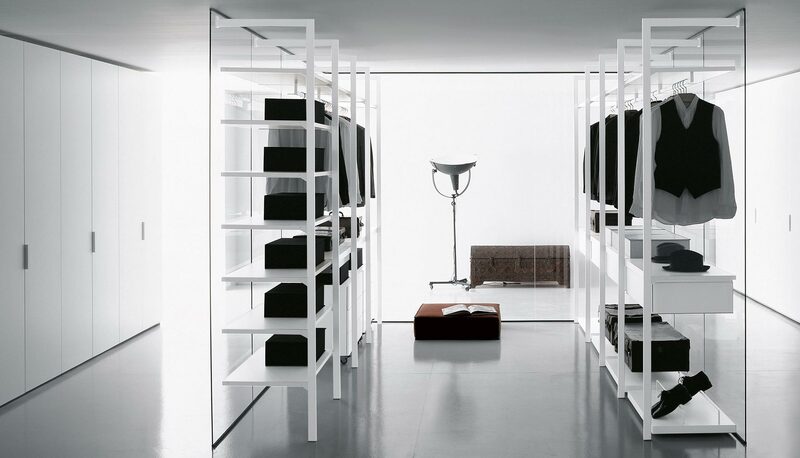 Storage by Porro is a complete program designed to be functional and practical. 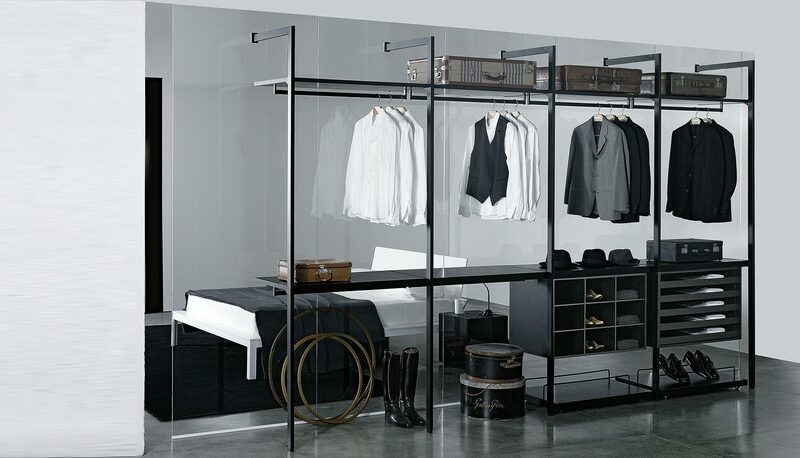 Storage gets through every dimension barrier and it satisfies every organizational and stylistic need by its new concept. 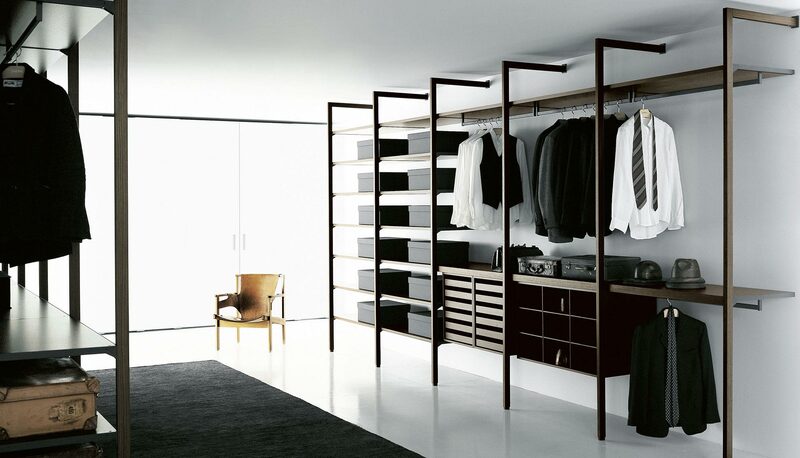 The walk-in closet storage allows, thanks to beams and uprights, the unique self-standing units of the entire structure, making flexible and light compositions as well. 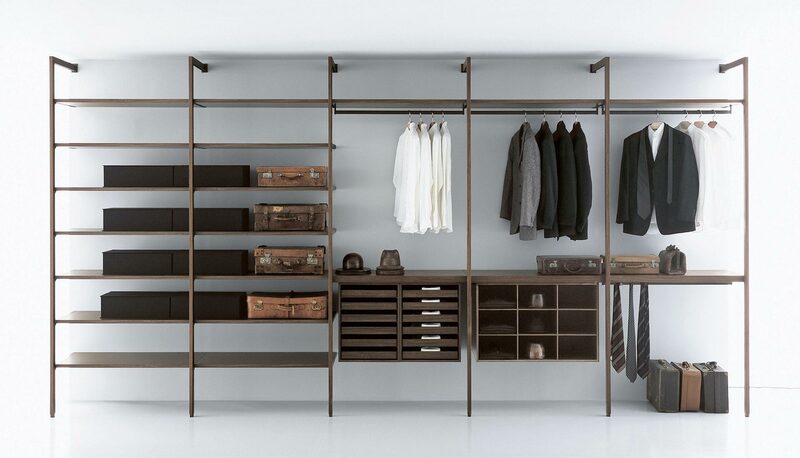 It can be fitted with drawer sets, trouser and sweater holders and many other fittings. It is available in all the unit 500/600/750/1000/1200 mm heights and widths.